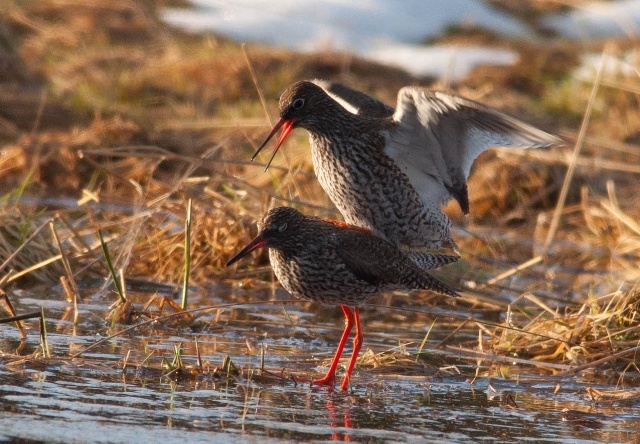 Adults differ from most other waders by bright red legs. Large white rectangular patches on secondaries conspicuous in flight in all plumages. 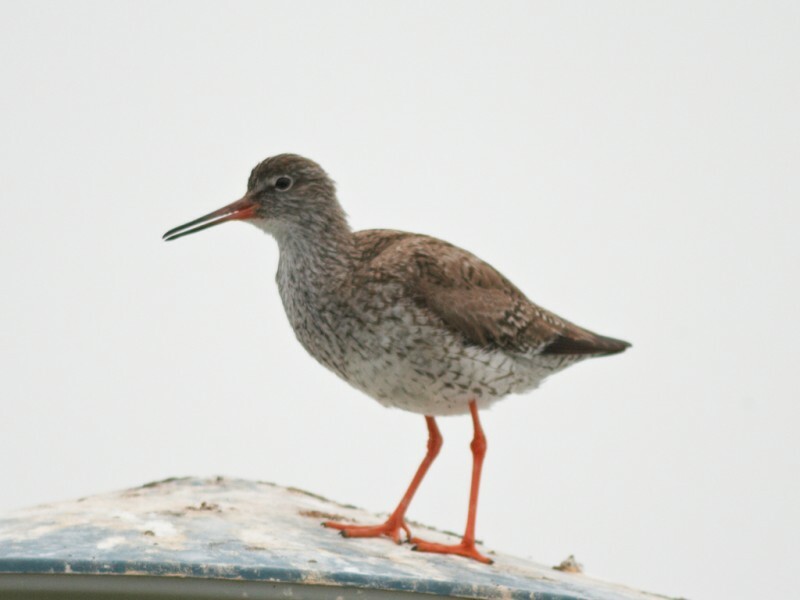 Spotted redshanks in winter- or juvenile plumage lacks white wing bars, are more elegant with a more slender bill, and shows a stronger dark eyestripe and white supercilium. 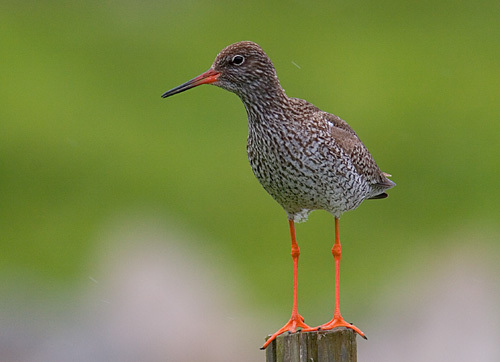 Juvenile Redshanks are unevenly, and sparsely spotted below from the legs to the vent, as opposed to the barring of juvenile Spotted Redshanks. 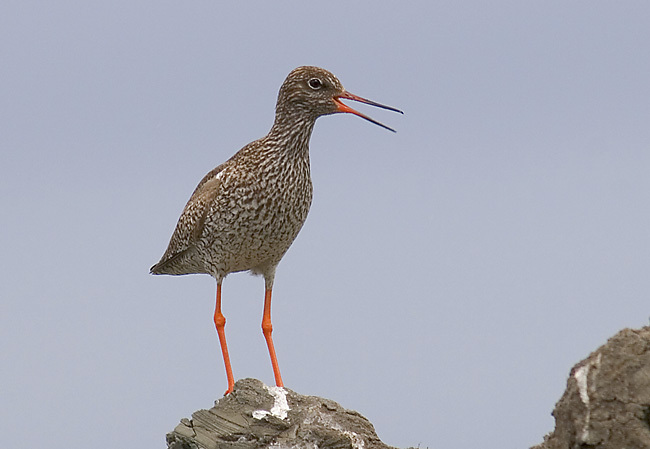 Leg colour in juveniles often dull yellowish. Flanks evenly spotted. Winter plumage with brownish upperparts. 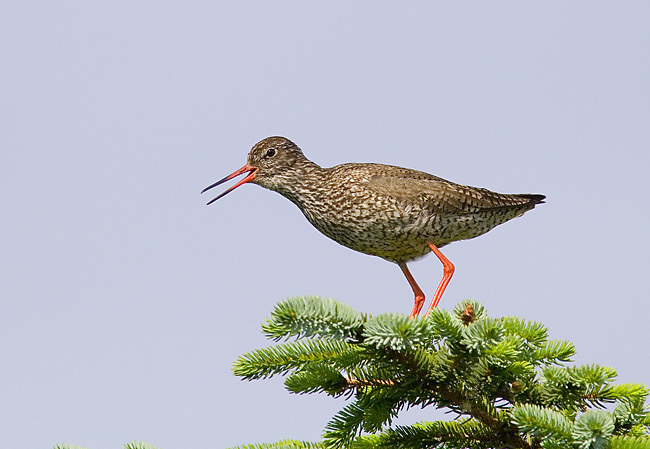 Generally a noisy and loud bird, especially at breeding ground. 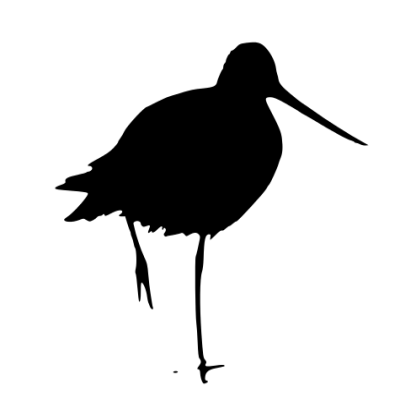 Most heard is a characteristic "tew-hoo", or "tew-hoo-hoo" with first syllable accentuated. No gap between the syllables like Greenshank, and usually with a marked falling pitch. 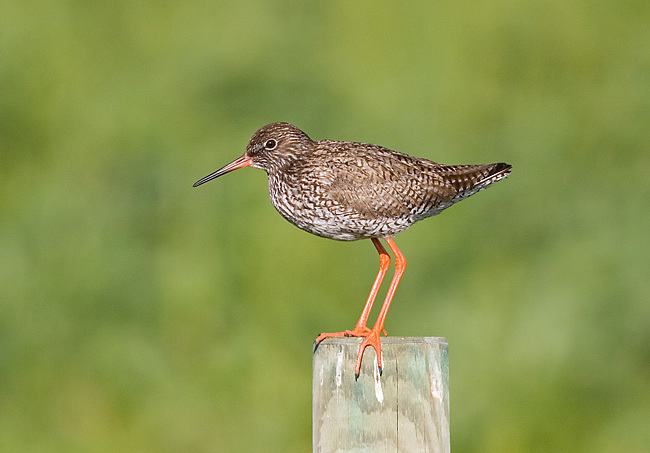 Song similar to Wood Sandpiper, but with three accented notes in each cycle, not two.